FiAsp is SO SAVVY COOL! It is not yet rated for use in an insulin pump and was just approved by the FDA for sale in the US. The US price for the pen cartridge is not available yet and I hear that availability will be first quarter 2018, although I’m sure there will be prior authorization issues. It’s REALLY fast! I’ve been using Fiasp, in my Medtronic 723 pump with the do-it-yourself RileyLink closed loop system, since I was able to import it from Canada (thanks to the great folks on the Facebook group, Looped) about 3 weeks ago. And I am amazed. My husband is amazed. My endocrinologist is amazed. 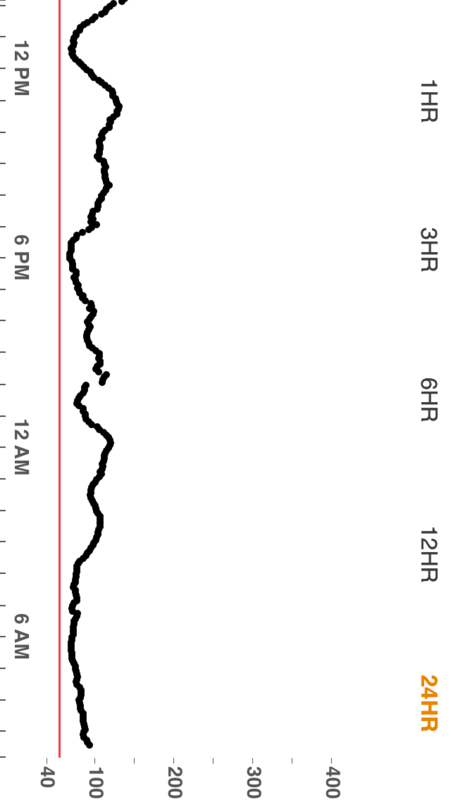 I frequently look at my 24-hour Dexcom chart and smile. While I am not the greatest at the technical settings and making adjustments, I’ve noticed that my total daily dose of insulin is down about 25% and I routinely reduce my recommended bolus by half. I know I have to make changes in my ISF and I:C ratio. Loopers had a wide range of experiences, as above … no one T1’s experience was exactly like any others. So far, my experience is all positive. I have no irritability at the site, don’t need more basal at all and maybe noticing that my insulin sensitivity is inching back. But overall, I couldn’t be happier! I do feel a sense of anger though! Why did it take SO long to get a faster acting insulin??? I’ve been using insulin for over 50 years … this should have been here a LONG time ago! I hear that the pricing for Novo Nordisk Fiasp will be similar or a bit higher than Novolog. That’s NOT ok! I’ll continue to purchase from Canada! Want to learn more? 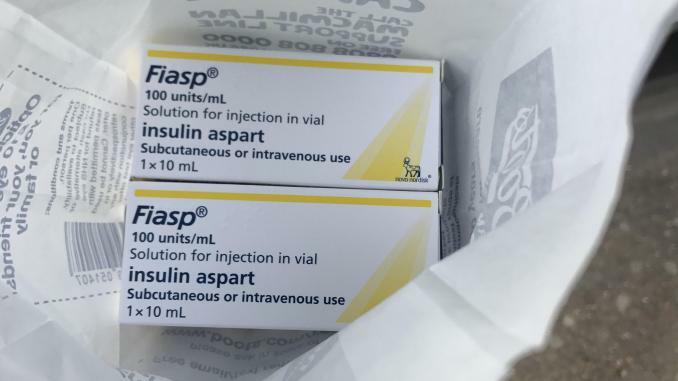 Tim Street writes all about his experiences with Fiasp on his blog, http://www.diabettech.com, “Where Diabetes and Technology meet.” Outstanding information! Any questions? I’ll try to answer or find out from others. For now, I give Fiasp A+++++! Just How Quick is Fiasp, Novo Nordisk’s Faster-Acting Insulin?